Misaligned eeth, also known as malocclusions, are extremely common. Traditional solutions include metal braces, but our Invisalign provider in West Hollywood may be able to provide you with a clear alternative that can give you with a straighter smile without the uncomfortable metal or brackets of braces. Invisalign aligners are removable orthodontic aligners that allow you to straighten your teeth subtly and discreetly. Not everyone who suffers from misaligned teeth will be candidates for Invisalign aligners. Complex malocclusions, severely rotated teeth or jaws with multiple missing teeth may require different orthodontic solutions. 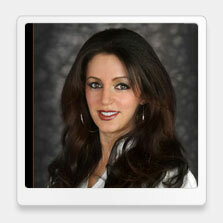 Our West Hollywood Invisalign provider can help you determine whether you meet the criteria for receiving Invisalign. If you are a candidate for Invisalign, our Invisalign provider in West Hollywood, Dr. Ghasri, will take a set of dental impressions and images of your teeth in order to map out a treatment plan. The lab will then create a set of aligners based on a three-dimensional projection of your progress. The customized set of aligners will then gradually and gently move your teeth into alignment over the course of your treatment, and you will be responsible for changing your aligners about every two weeks. Apart from aesthetics, one of the biggest benefits of Invisalign is their removability. Many of our patients appreciate that Invisalign aligners can be removed for eating, drinking, brushing and flossing. They must be worn for at least 20 hours a day, but they do not interfere with daily activities the way traditional metal braces can. Full treatment time can vary depending on the type of alignment problem. 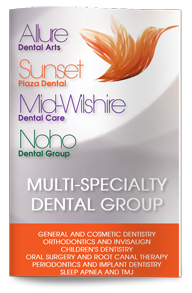 Dr. Ghasri, our West Hollywood Invisalign provider, will provide treatment recommendations specific to each patient’s unique situation. Invisalign clear plastic aligners are often an excellent orthodontic solution for those with certain types of misalignments, including crowded teeth, overbite or underbite, crossbite, bite irregularities, and relapse from traditional braces. They are also intended for those with fully erupted permanent teeth who are willing and able to follow treatment recommendations. Contact our dental office today to schedule your appointment with our West Hollywood cosmetic dentist or to learn more about Invisalign clear plastic aligners.